Hardy winter flowering Cyclamen coum are a real bonus in the garden providing a mass of blooms from November until March. Flowers are in shades of pink, magenta or white with leaves which are often mottled or splashed with silver. 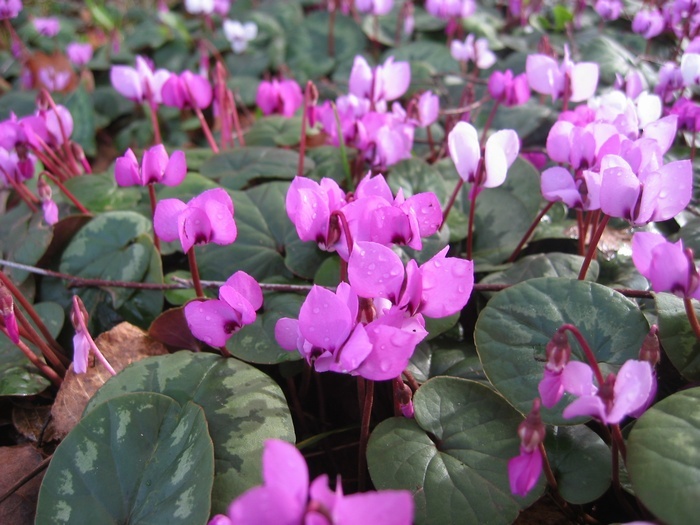 When planted in groups beneath deciduous trees Cyclamen coum will self-seed and naturalise, creating a stupendous winter feature.